Gladys Kiyoko Yokoo of Mililani passed away Sunday, October 22, 2017 at the age of 69. 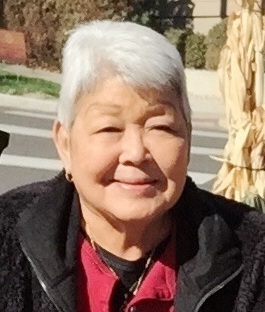 She was a graduate of McKinley High School in 1965, gave birth to and raised four children, and later worked as a clerical worker at Waiawa Correctional Facility for 25 years. She was a lover of many things, but none more than the people in her life. Truly she was the happiest when with her family, friends and loved ones. We will miss your kind heart, sweet voice, and your loving presence. Gladys is survived by her daughter: Fern Davidson; sons: Cary, Chad, and Ryan Yokoo; and sisters: Ruth Migita and Nora Furuno.